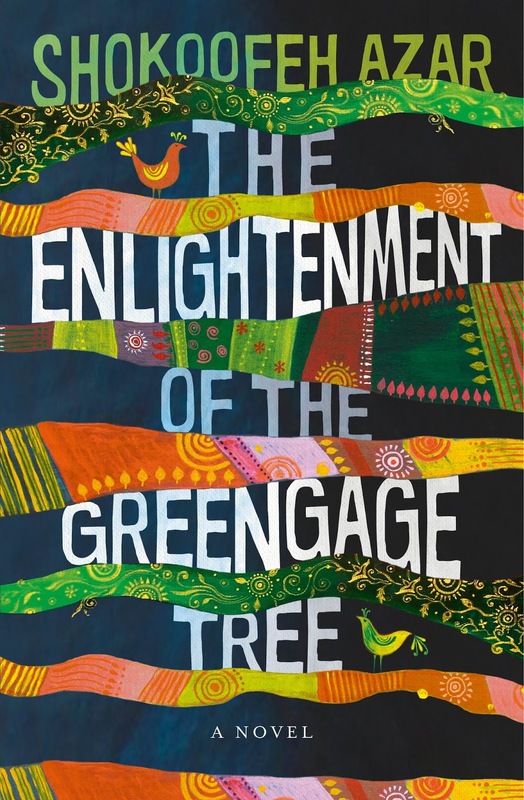 The Enlightenment of the Greengage Tree has been attracting my attention for several months now, however it took its recent longlisting for this year's Stella Prize to finally make me pick it up. I'm nothing but a Stella groupie! The cover alone might have been enticement enough (a collage of three of Azar's art works), but the promise of a mystical, magical tour through the horrors of revolutionary Iran, 'using the lyrical magic realism style of classical Persian storytelling', was the final prompt I needed to make this my first book to read from this year's prize. Azar's use of magic realism did that and more. It's quite a skill to weave a story that allows your somewhat sceptical reader to accept the existence of ghosts, jinns and mermaids. But Azar did it for me - I was with her from the start, on that level at least. However, it did take me a while to get going. It may have been a translation thing or it may have been a slightly different approach to sentence structure. Many of the books I gravitate towards lately are ones with concise, short sentences. So maybe it was simply my lack of practice in reading longer, flowing, complex sentences. 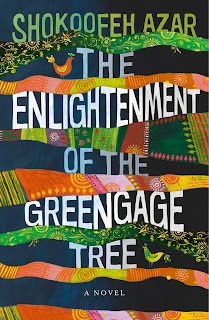 Whatever it was, I found the start of The Enlightenment of the Greengage Tree choppy and erratic. It wasn't until the special circumstances of our narrator were revealed at the beginning of chapter 5 that I was hooked. Suddenly the 'playful, poetic and deeply melancholy' Alice Pung quote on the back cover came to life. I dropped into a dreamy, almost trance-like state every time I picked up the book. Jinns and groves of trees haunted my own dreams as fleeting childhood memories of news items about the 1979 Revolution were triggered by events in the story. It was angry, it was heart-rending, it was glorious, mesmerising and confronting. Azar has given us a classic story of good and evil. Her words are fluid as is her approach to time and truth. Belonging, love and loss are the major themes while the search for solace is the main concern for her characters. Given the horrific events that occurred during the Iranian Revolution, it is easy to understand why and how an author would choose to wrap these unreal events up in mythology. When the real world you live in suddenly gets turned on it's head, sometimes the only response is imagination and the only hope is magic. I, for one, hope with all my heart, that this story gets shortlisted for the Stella - it deserves to get as much attention as possible. I did think of you Kate when I was writing this post as I know of your struggle with all things magical realism. I've always loved fairy tales, so I found this story enchanting in much the same way. At times I was reminded of Like Water For Chocolate (another favourite of mine).